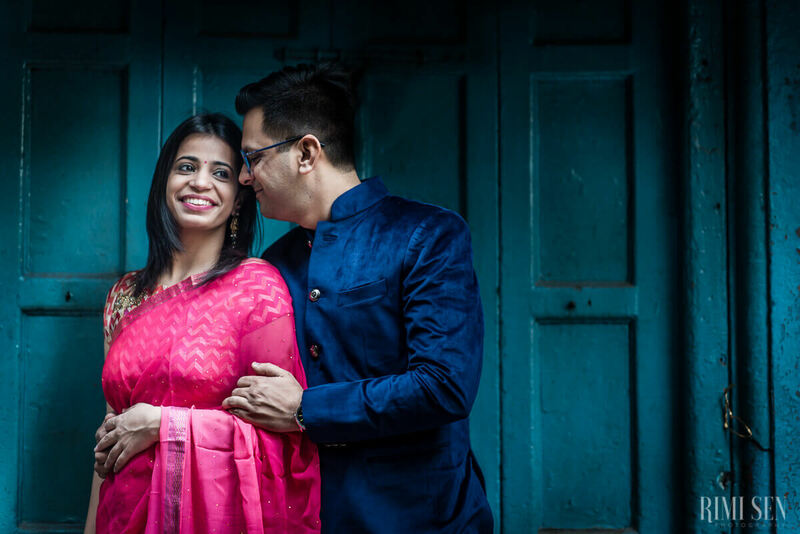 Finding a place for a pre-wedding couple shoot which is neither restricted nor with a huge price-tag is becoming increasingly difficult these days. 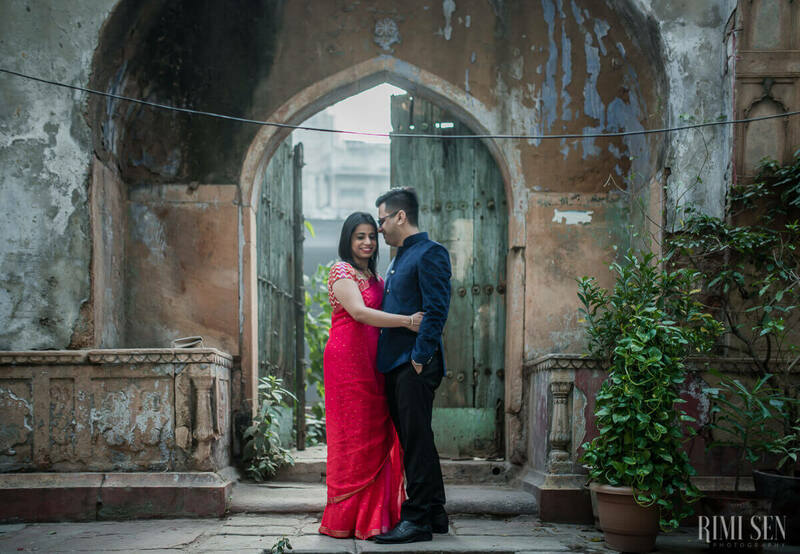 We have completely run out of those picturesque places in Delhi with most of them starting to get too monotonous and boring. 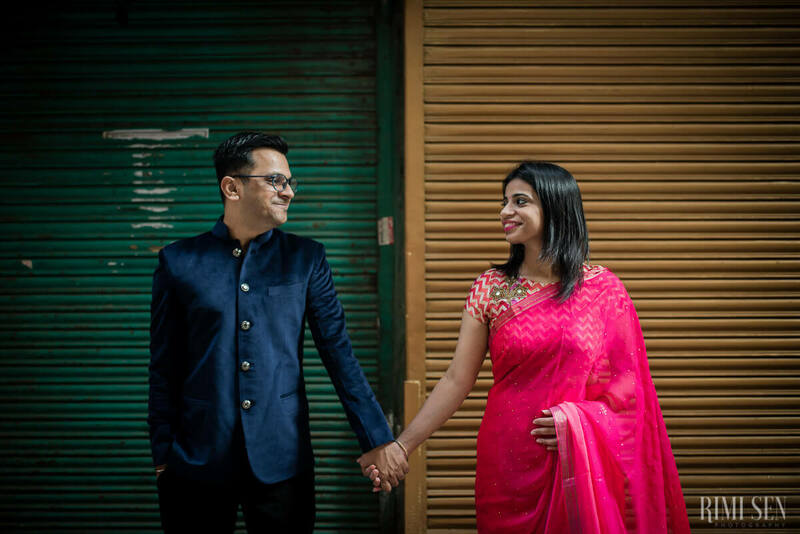 Anish being a photographer himself wanted something different for his pre-wedding shoot. 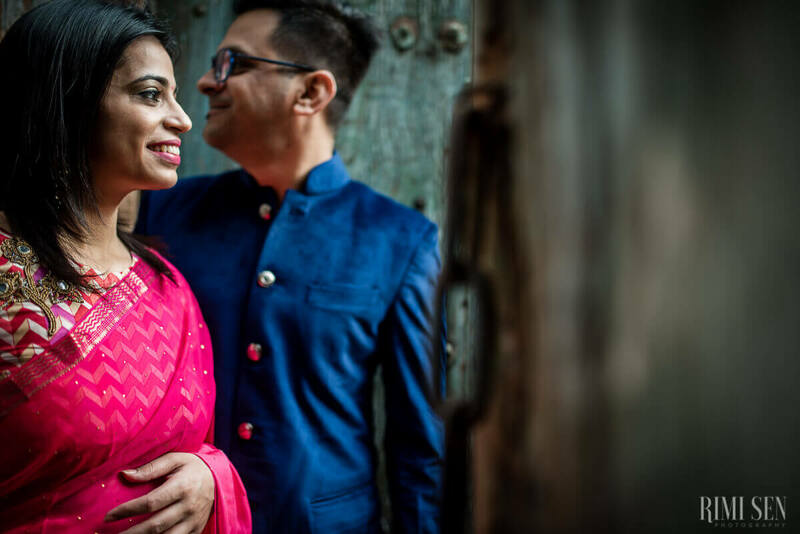 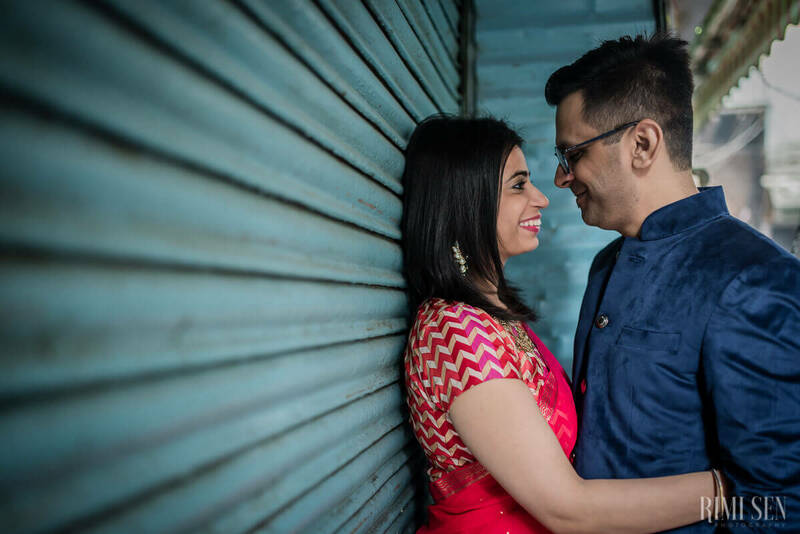 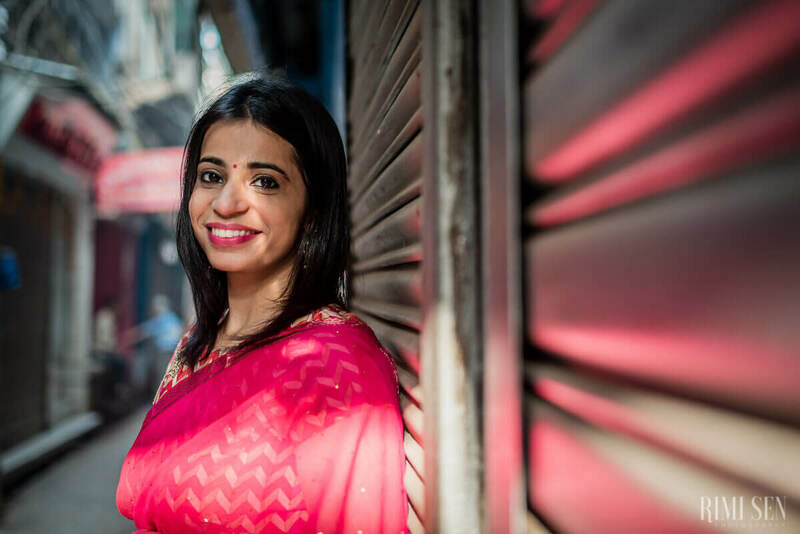 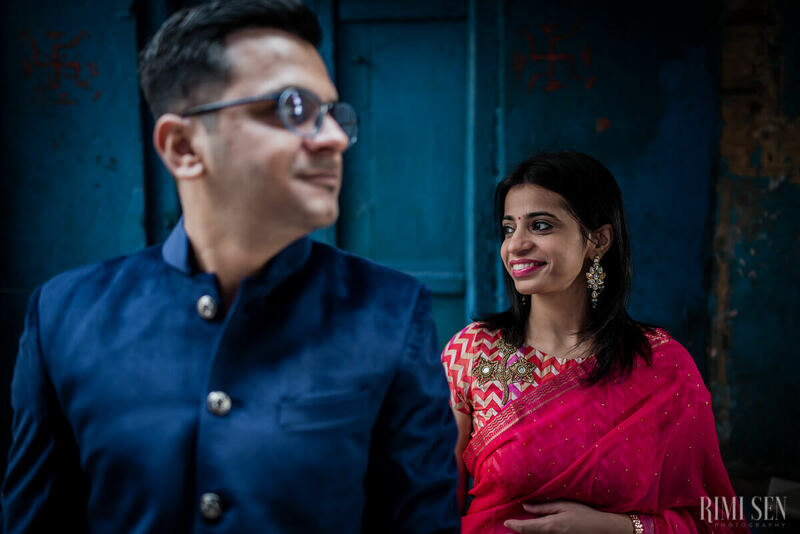 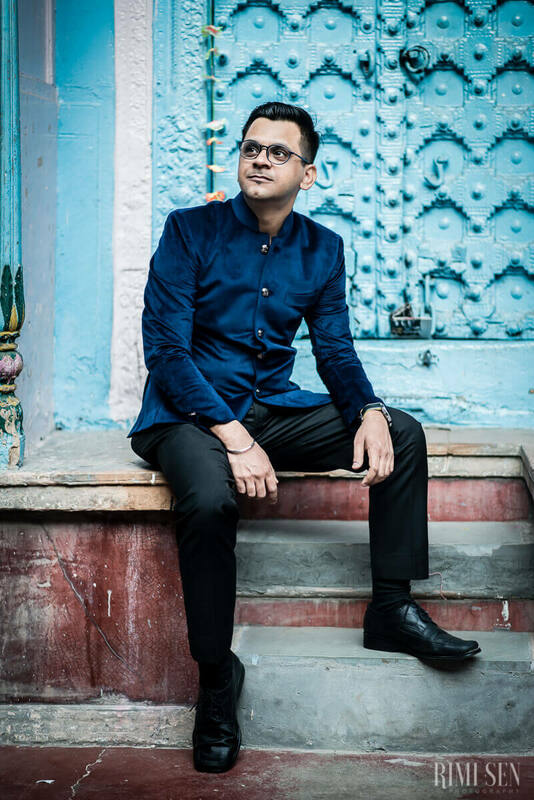 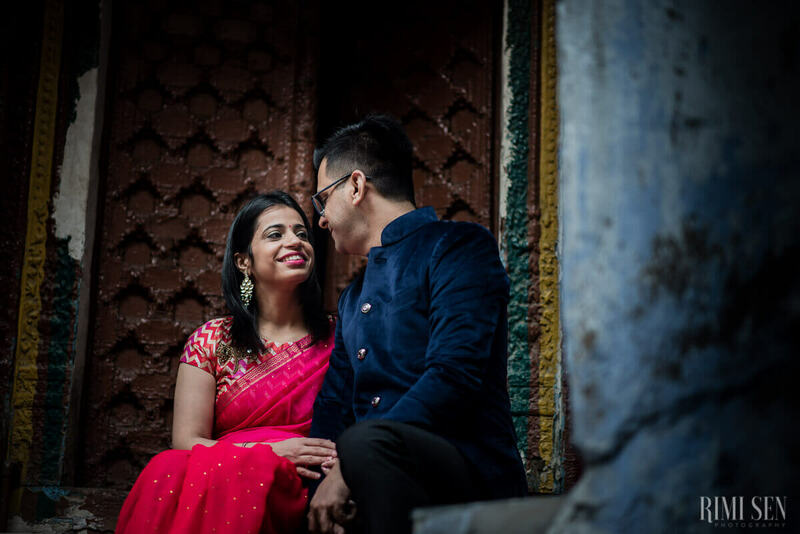 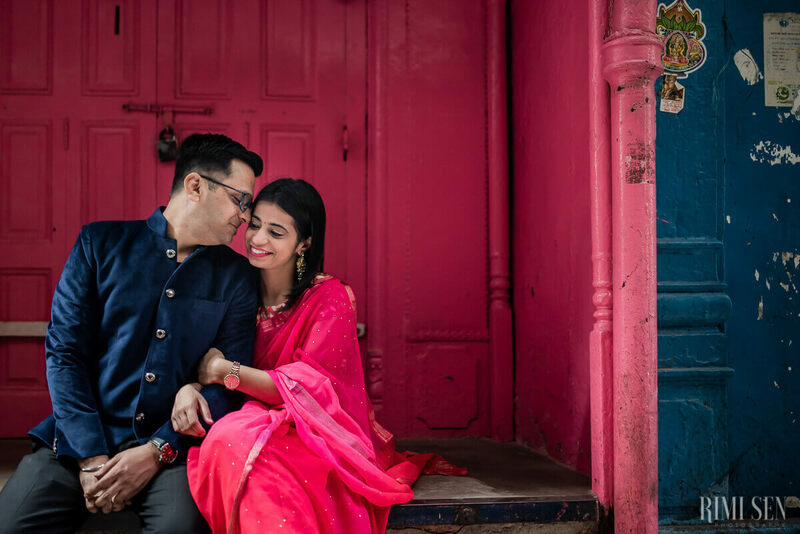 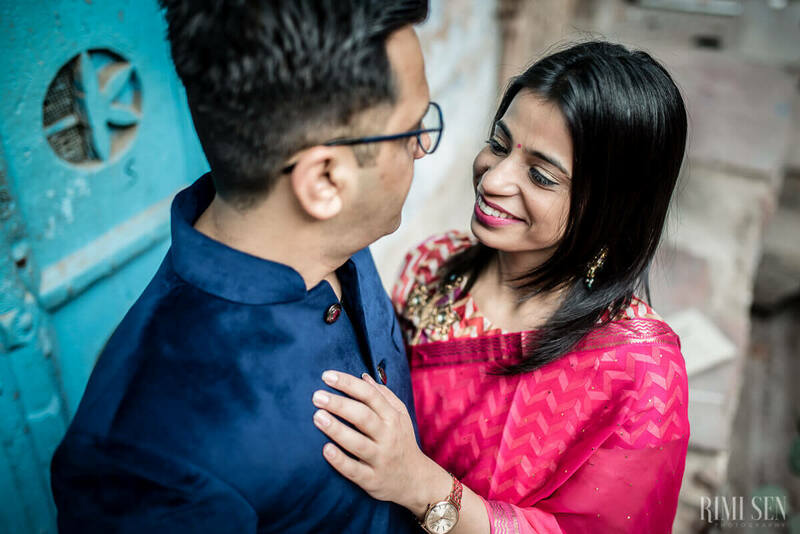 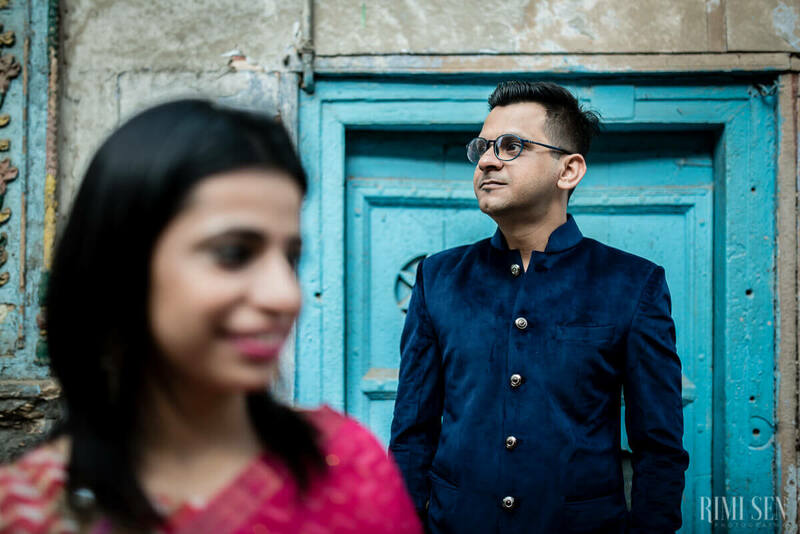 When he approached us for photographing his wedding we were totally excited to suggest this alley in Chandni Chowk, also known as Naughara Gali for his couple shoot. 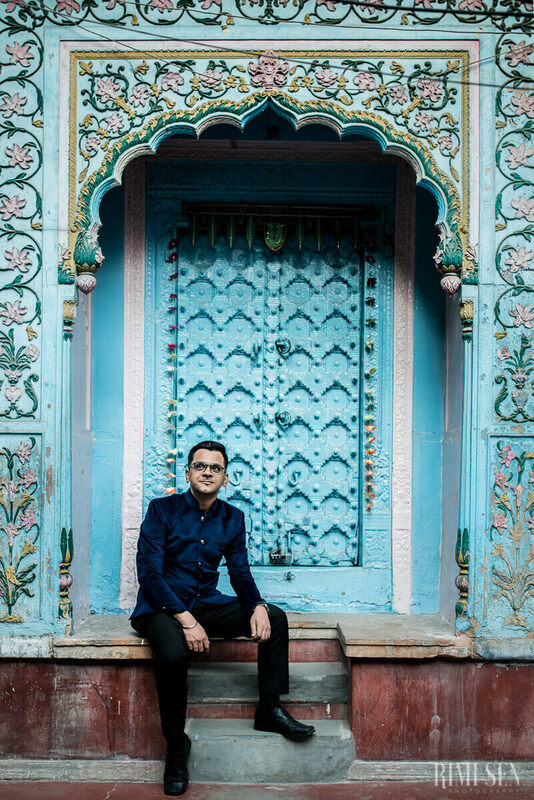 Naughara Gali is an alley where nine colourful Jain Havelis were built in the 18th century. 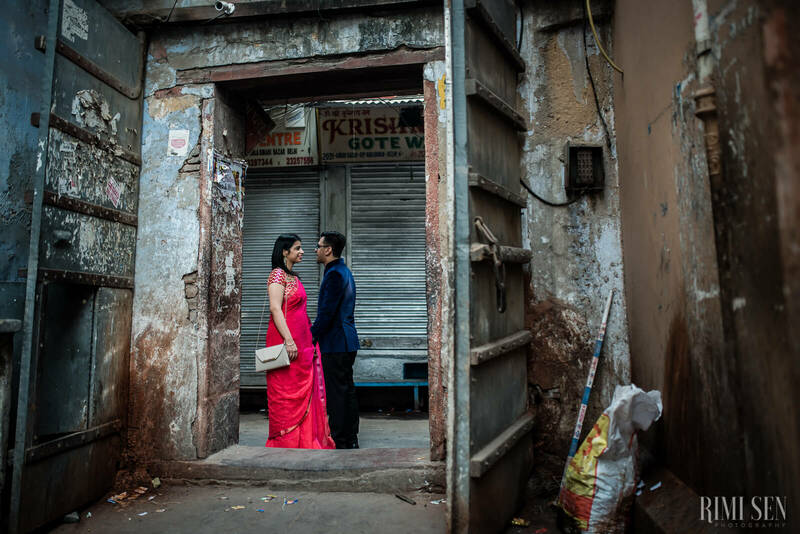 Each nook and corner of this street was so beautiful and with some interesting light we got a few brilliant frames for the couple. 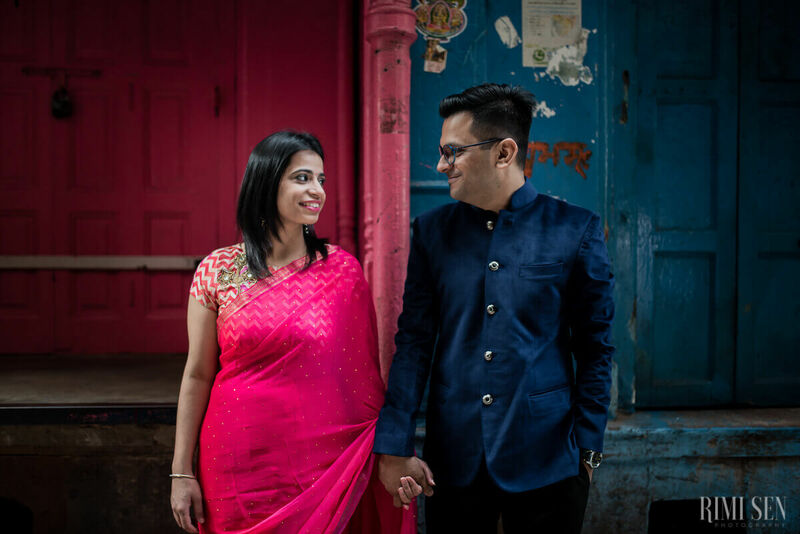 Although, the main highlight of our day were the delectable parathas from the Paranthe wali Gali. 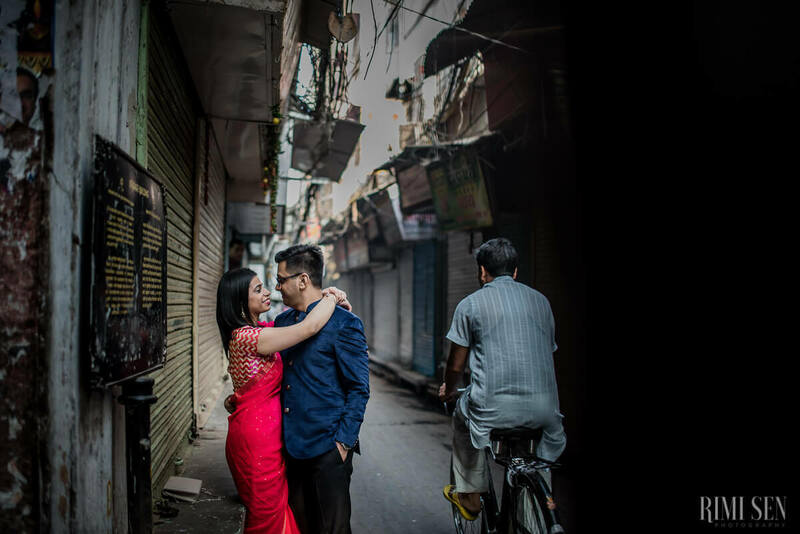 So whenever you happen to visit the legendary Paranthe wali Gali, dont miss out these beautiful alleys.